The shift to mobile commerce revolutionized the fashion and beauty industries. Even as some luxury labels were slow to embrace change, seemingly overnight customers have embraced the personal shopping assistant in their pocket — and a completely new way to buy looks on Instagram. We’re now on the horizon of a revolution that could have a profound impact on the relationship between people, connectivity and what they wear: Style itself is about to become the hottest new device. Sounds crazy. 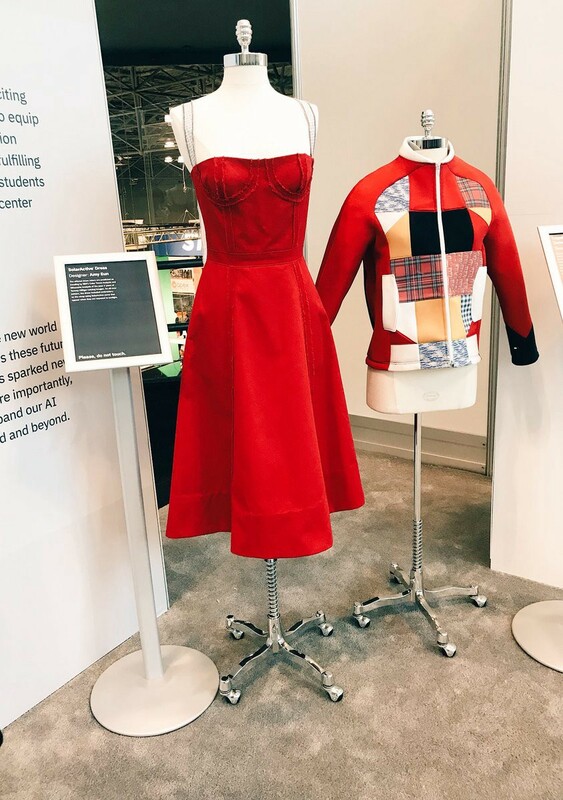 But this trend was seen all across the recent CES and NRF Big Show, with startups from Mitsufuji to Digitsole showcasing connected garments that illustrate the evolution from wearables (think Fitbit) to embeddables. That’s the era we’re entering today: everything from payment technology to fitness tracking and social media will be literally embedded into the clothing and accessories we already wear, meaning there won’t be any trade-offs in terms of aesthetic and functionality. This will bring with it a shift in the very notion of what a “device” is — and it’s going to affect both consumers and marketers across the industry. Here are the key ways we’re seeing companies explore the merging of personal style and connectivity — and it’s a lot more than a fleeting Fashion Week trend. 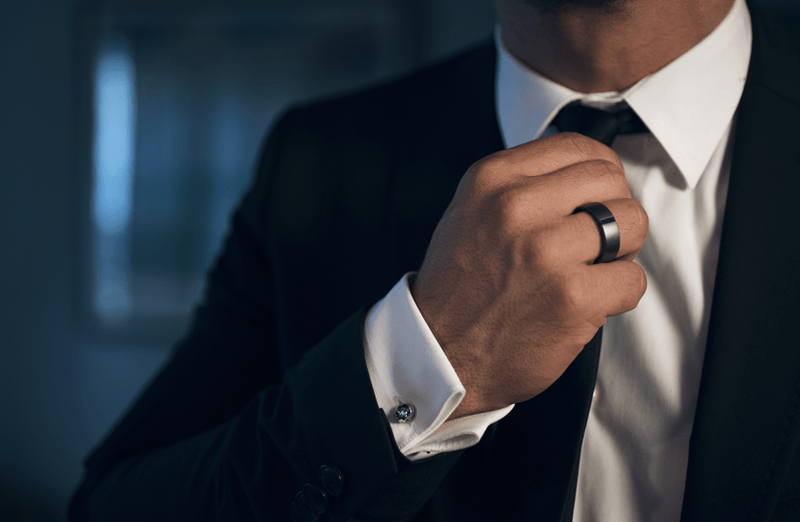 Smart jewelry is one of the first places that wearable tech has fused with fashion; after all, a watch or a bracelet is already a “wearable” in the traditional sense — it’s simply about expanding functionality without sacrificing style. 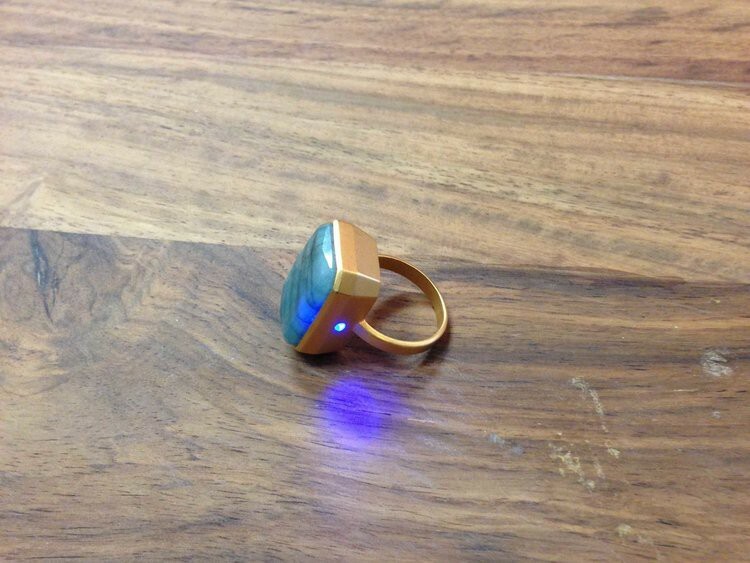 Is this technology able to be embedded within a sleek ring, rather than a bulky armband “bracelet”? Absolutely. Ringly, for example, sells a series of rings and bracelets that look like typical stylish jewelry millennials go crazy for — rose gold, marble, and two-tone settings, but with “embeddable” capabilities of activity tracking, mobile alerts — it supports over 200 apps — and guided meditation. Similarly, we have examples of embeddables like Motiv, which makes a 24/7 fitness tracker that’s packaged into a lightweight, titanium ring that comes in distinctive colors like slate gray and rose gold. Motiv tracks sleep, activity, and heart rate, but what really sets it apart is its ability to blend seamlessly into the wearers’ day: It’s lighter than a penny, syncs with other devices with one twist around the finger, and it can pass as fashion jewelry or even a wedding band. Finally, the applications don’t have to be simply about physical activity tracking or syncing apps: Check out HabitAware, whose Keen smart bracelet uses a sophisticated motion sensor to help people reduce unflattering behaviors like hair pulling and nail biting. But what marketers have to realize is that, just because jewelry is a device, that doesn’t mean that’s the first thing wearers will treat it as; if Christian Louboutin spike heels have taught us anything, it’s that — particularly for luxe designers at a particular price point — form often takes precedence over function. In other words, a customer is wearing a Fitbit as a connected device first and foremost. But she may not be wearing an 18K gold ring or designer watch for that purpose — the functionality is seamless, meaning the embedded features are really added value to the style. It’s absolutely critical that both the designers of these items and the outside marketers hoping to communicate through them make sure not to become a distraction. It’s early days, but extensive opt-ins to notifications, data sharing, and more will be paramount to maintaining privacy and elegance in this space. With companies like Sensoria debuting performance and athleisure items embedded with connective fibers that can respond to a wearers’ vitals, tech-focused startups are certainly at the forefront of changing the conversation. But it’s not just the new kids on the block who are turning clothing into a connected device: Tommy Hilfiger has pioneered smart fabrics — from a solar-powered jacket through which you can charge your phone, to a solar-reactive sundress that lights up when the wearer is overexposed. Similarly, Rebecca Minkoff’s connected handbag line features a discrete scannable code that reportedly lets the wearer receive relevant product recommendations and video styling content from the brand. This kind of technology means personalization across the board — from luxury to performance. Lumo, whose smart running shorts incorporate data to give the personal attention of a coach, provides tips to improve running form. And Away, for its parts, seamlessly integrates smartphone charging, app-activated weighting and GPS tracking into sleek suitcases for travelers. This could also come handy for push notifications nearing travel retail. Not only is this helpful for the wearer, but it also benefits marketers. Across the board, more customer data means more targeting capabilities, so figuring out creative ways to tap into these data sources is valuable. Ultimately, it’s not the number of devices in the world that impact marketers; it’s the connections between a growing ecosystem of devices — and what these data points can tell us about how people move through the world and go about their day. Fashion has always been about personal identity. But when fashion becomes a device that can respond to the minutiae of a customer’s behavior and location — it can also become a powerful tool for proximity marketing. 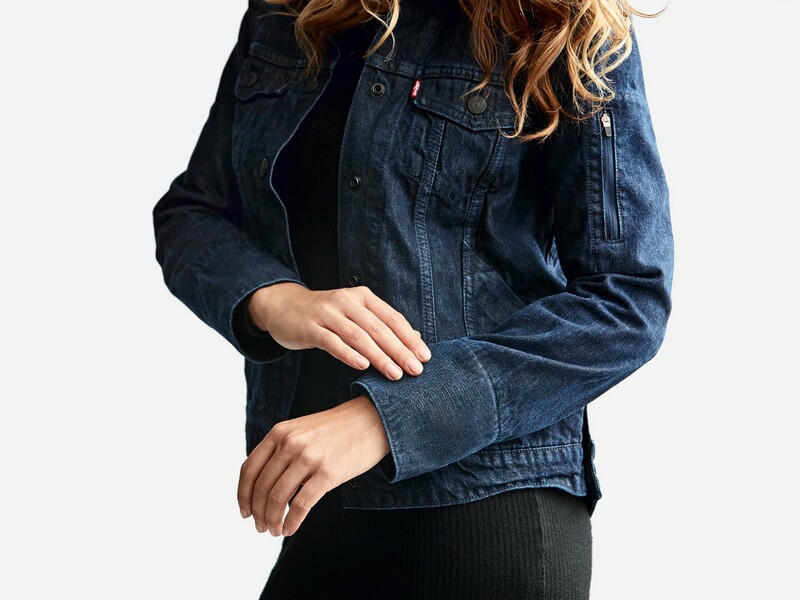 Levi’s Bluetooth-powered denim is the very promise of how conductive fabric will let us trigger actions on the screens around us. If all of that doesn’t sound futuristic enough, check this out: Soon, people might not even need a clothing item for connectivity; device control could literally be as simple as a touch of the skin. Rotex makes biometric, customizable sensors that are wearable as “electronic tattoos,” creating a human-computer interface with its roMage platform that allows users to “control the world” — and their devices — with a touch of the hand. Theoretically, this means that customers can rock a temporary tattoo in the design of their choice and use it to interact with everything from their connected devices to digital out-of-home content. 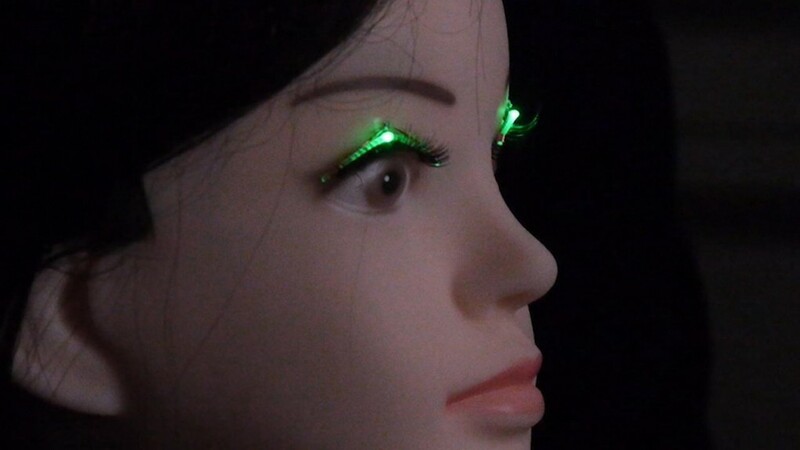 Another example of how companies are pushing boundaries with this kind of beauty tech is Shiseido: Researchers recently unveiled LED lashes that transmit power using micro waves from remote places through “wireless power feeding” — enabling both a glow in the dark fashion statement as well as the theoretical possibility of communicating with other devices through a tap or a blink. No, we’re not going to see a mass shift of people putting down their phones and “texting” with the blink of an eye, but innovation like this shows us that just about anything can be an “embeddable” — and the potential to engage customers with aesthetic tech that is equally fun and distinctive is a reality today.